>how much for that lovely? >That is amazing. What a cute birdie! >Oh, that is so darling. When I first looked at it before I saw the duck, I thought "MMMmmmmm…carmel and maple sugar candy"! You know when you see a truly fabulous bead…it looks good enough to eat! >haha I know wbat you mean~ I've seen some pretty lickable beads! 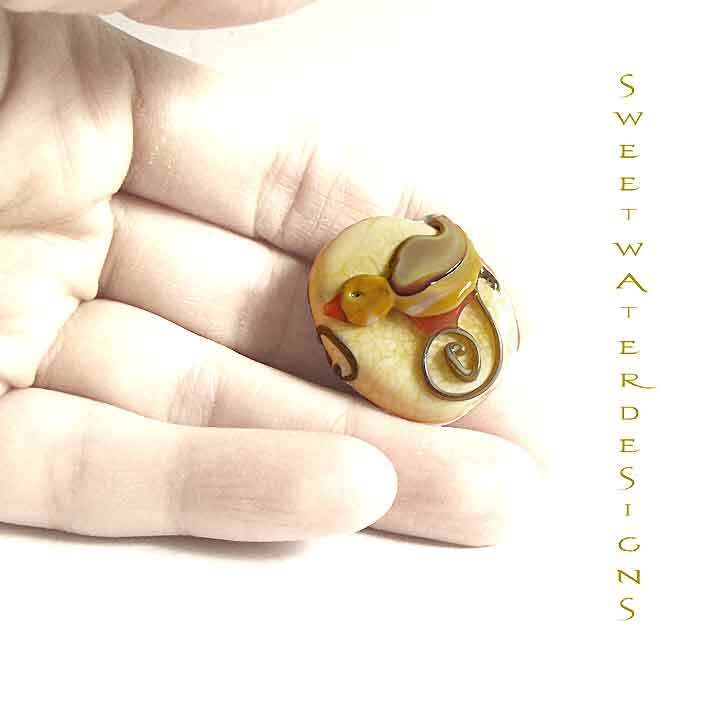 You are currently reading >Sculpted Lampwork focal bead at fireandglass.